In 1173, the foundations for the famous Tower of Pisa were laid on ground too soft to properly support its weight. The resulting lean gradually progressed until the survival of the building was so at risk that extensive renovation work was required to partially correct the tilt and safeguard the tower’s future. In flooring renovation projects, it is important to consider what can go wrong, to increase the chances of getting it right first time. Here, Scott Coffey, territory sales manager at National Flooring Equipment discusses a few simple ways to increase the chances of flooring project success. When laying a new coating on a concrete floor, surface preparation impacts both the aesthetic and the functionality of the new flooring. It can be easy to underestimate the importance of correct surface preparation before installing a new floor, but improper preparation can cause a failure in your coating which can increase costs. It is possible to mitigate the risks of project failure by completing the proper surface preparation, which is usually specified by the company that manufactures the coating system. Whatever is next for the concrete floor, the first step in the project is always the same. The contractor must remove the original coating or covering. Until the subfloor is exposed, it is not possible to predict what the condition of the concrete will be. If the customer was hoping for a polished concrete floor and the exposed concrete is in poor condition, they are in for a nasty surprise. Once the contractor removes the old flooring, the next step is to prepare the concrete for the new coating. It is essential that before surface preparation is attempted, the customer and the contractor are clear on exactly what flooring they want, so the surface preparation can match the system being installed. There are two methods to best prepare the floor for the new coating; grinding and shot blasting. Shot blasting creates a profile in a single step, time-saving process. Shot blasting propels shot against the substrate, leaving the best possible profile for a coating to adhere to. However, you shouldn’t use this method when applying coatings or paints of ten mils or less, because the overlap lines from shot blasting may be visible, ruining the aesthetics of the floor. In these situations, grinding is a more appropriate technique as it leaves a move even profile that thinner coatings can cover more easily. Whatever the coating, it is imperative for the contractor to check for moisture in the newly exposed floor as this can affect the success of the flooring project. This is particularly relevant if applying an epoxy coating, as trapped moisture escaping through the surface can lead to bubbling. Even worse, the floor could start peeling off completely. Once the coating has been applied, it’s too late to go back. Avoiding coating failure because of moisture requires the contractor to perform a simple moisture test on a small area of shot blasted or ground concrete. Sometimes, larger projects require more than one moisture test. If a moisture test is failed, moisture mitigation should be completed before moving forward with the project. Dust containment is an important part of the preparation and coating process. 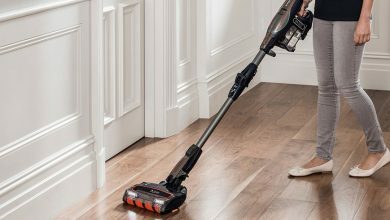 It is important to remove any dust left behind on the surface with a vacuum, floor tool and wand. A dust collector such as the National DL3000 is a great solution for surface dust removal on your project. Staying on top of dust, moisture and making the proper equipment choice will improve the chances of coating adhesion. This means that extensive correction work is not required, unlike in the case of the Leaning Tower of Pisa, which even 800 years later, is only partially corrected.